For transport details to the trailheads, try Backpack45.com. 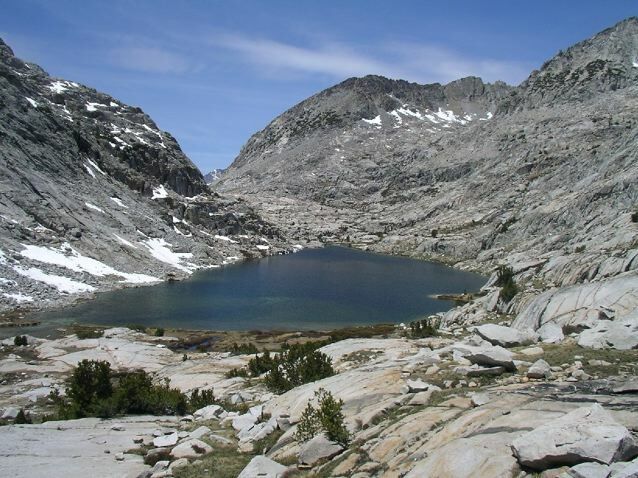 From the Whitney summit, you will need to walk a further 11 miles (17.5km) to the trailhead at Whitney Portal. If you haven’t already organised transport from there, you may be able to hitch a ride. 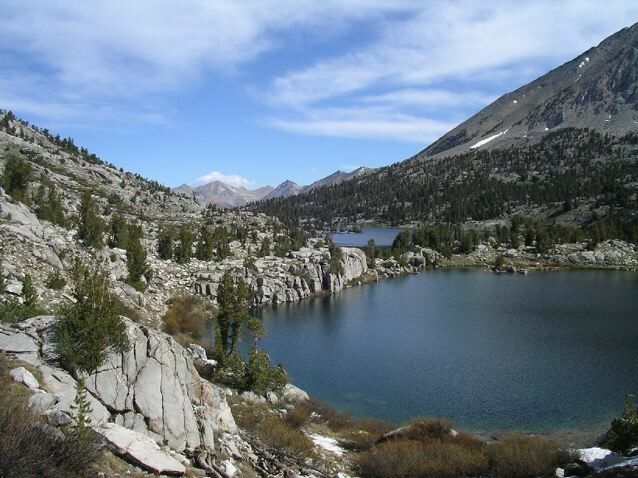 Alternatively, you can walk another 9 miles (14km) to the town of Lone Pine, from where the Eastern Sierra Transport Authority runs regular bus services. Mid-June to late-September (see Route / Conditions below for more details). 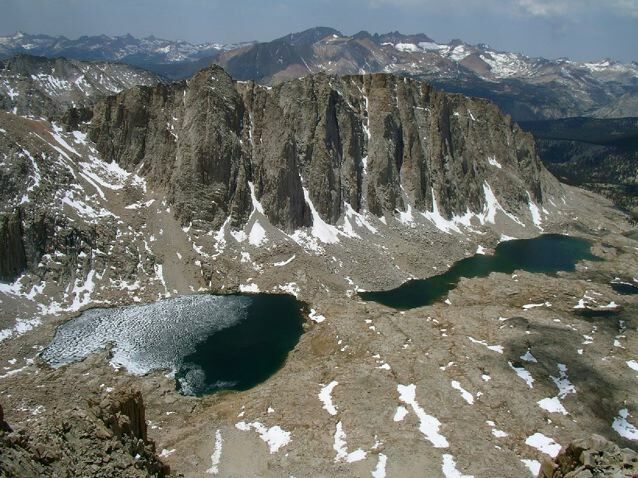 Tom Harrison Maps, John Muir Trail Map-Pack is all you need. A thirteen sheet set of 1:63,360 shaded-relief topographic maps, which are tearproof, waterproof and GPS compatible. 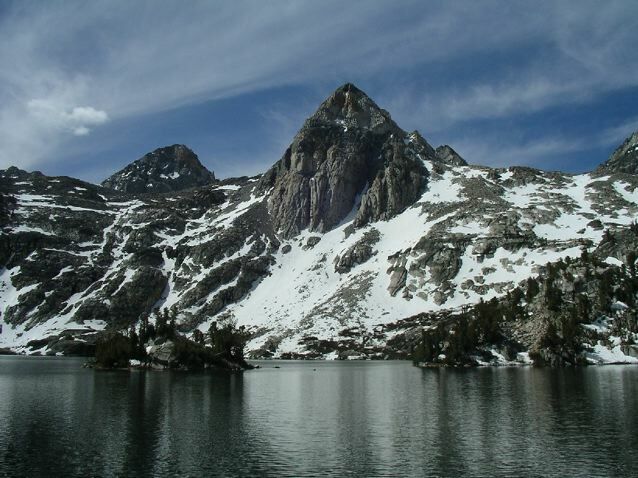 You will need a permit to do the JMT. See the US National Parks website for details. Officially speaking, you are supposed to carry a bear canister for parts of the JMT. Click here for details. 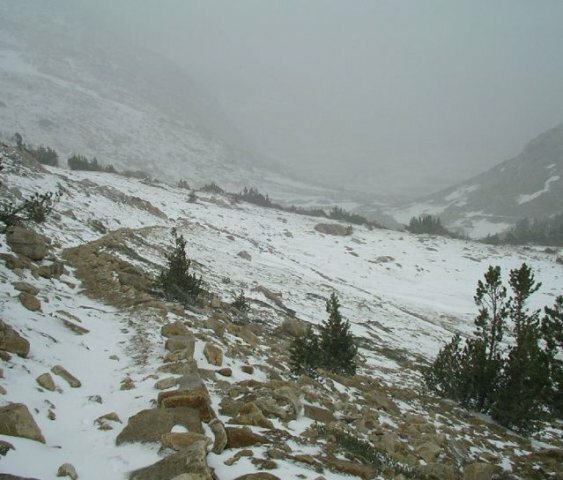 Conditions vary considerably depending on when you hike. July and August represent peak season – warmer weather, less snow, more mosquitos and lots more people. I recommend hiking in either mid-to-late June or early-to-mid September. Mid-to-late June: If you hike in June, chances are you will have one of the most beautiful trails in the world almost to yourself. The trade-off is that there will be lots of snow. Obviously, yearly snow levels can vary dramatically, however, in an average year it is well worth taking an ice axe (learn how to self-arrest before setting out). 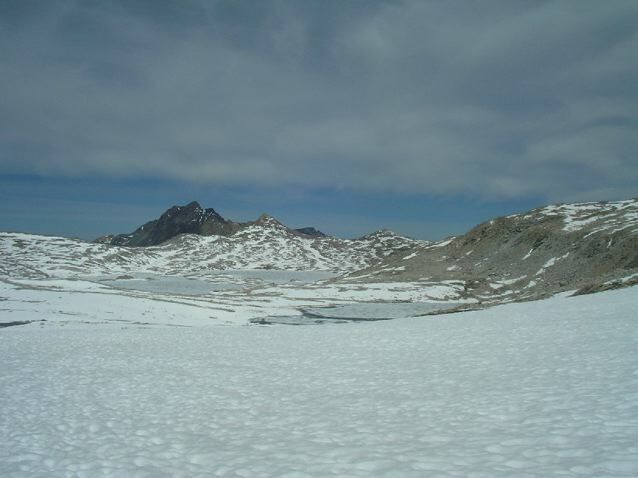 Crampons and/or snow shoes are generally not necessary. Nights can still get very cold. 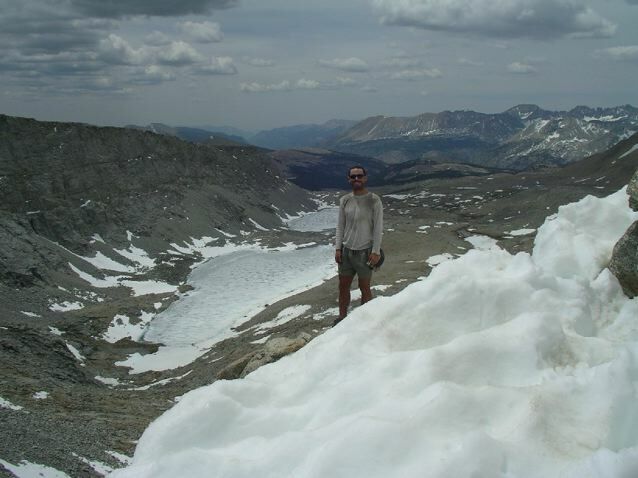 I did this hike in early June of 2007, and had a couple of nights when the temperature got down to around -10 degrees Celsius. 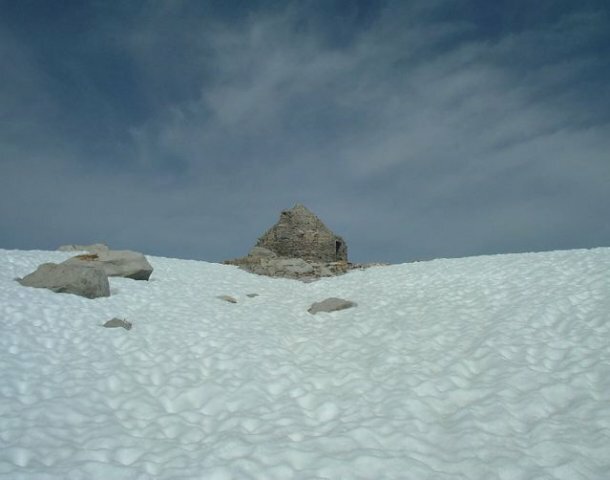 As large parts of the trail will be snow-covered, you will need to have good route-finding and navigation skills if considering a June hike of the JMT. 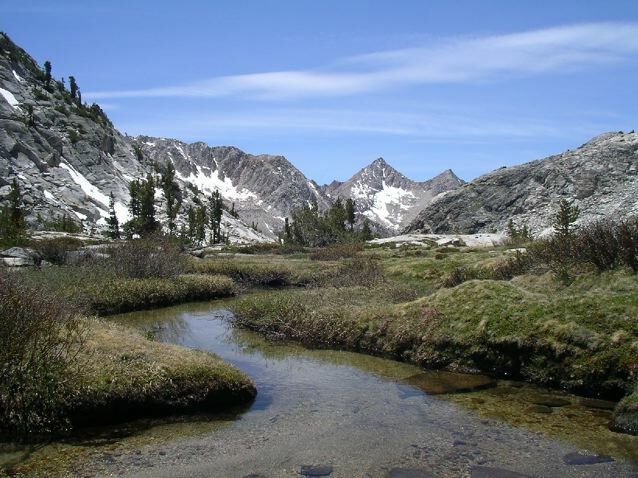 Other considerations of an early season JMT hike are river crossings (which may be higher due to glacial snowmelt) and mountain passes. In regards to the latter, it is very important that you time your days. Avoid going over passes too early in the morning when the snow will be frozen (ie. very slippery). At the same time, you don’t want to leave your run too late, as by early afternoon the sun will have softened the snow to the point that you may well spend the rest of your afternoon “postholing” (i.e. the process by which a hiker sinks lower than shin depth whilst walking on soft snow). 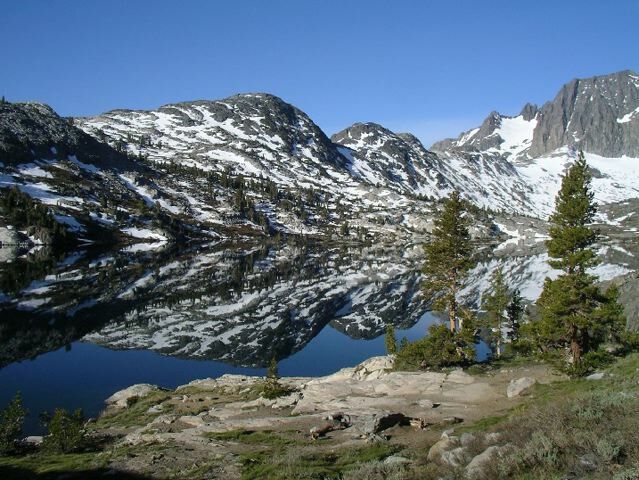 Early to mid-September may be the ideal time for a JMT hike. The crowds have thinned, the snow has melted and mosquitos are not so much of an issue. Nonetheless, be aware that heavy snowfalls can occur any time from mid-September onwards. If using a tarp, be sure to bring either a roomy head net or a bug canopy. 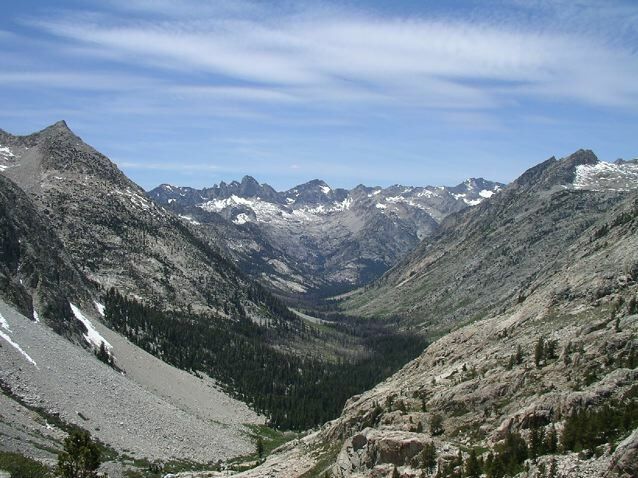 The John Muir Trail coincides with the Pacific Crest Trail for 175 of it’s 211 mile length. 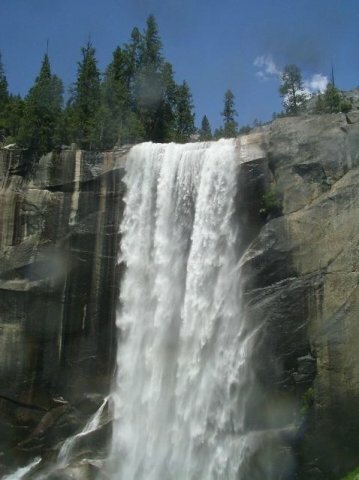 In 2007, I couldn’t resist adding on a few extra miles to my PCT hike in order to complete the JMT. It is impossible to overstate the beauty of this trail. 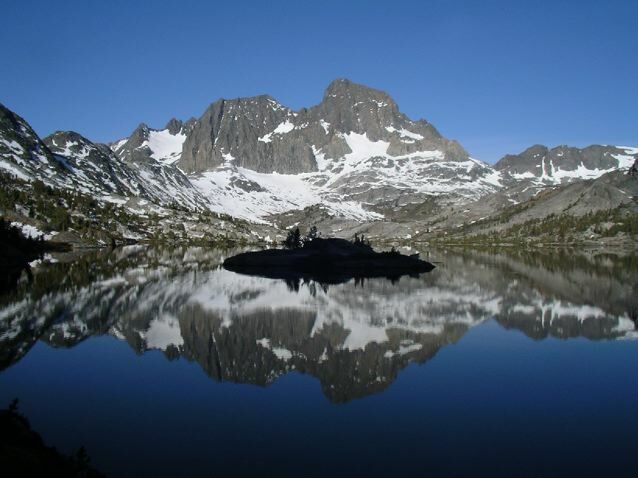 Granite peaks, alpine lakes, thunderous waterfalls and magnificent glacier-sculpted valleys. One of my all-time favourite hikes. Avoid the crowds by hiking in June or mid-September. It will be an experience you will never forget.